The seaside state of Goa is famous for its golden beaches and laid-back lifestyle. So when it comes to choosing a place to set up your hammock you’re spoilt for choice. But each town and beach of Goa has its own atmosphere, so it pays to make sure you choose well, or just hop down the coast until you find the perfect place to rest. Northern Goa is more developed than its southern counterpart and is popular for its vibrant atmosphere, fine dining and great shopping. Close to the airport is the resort town of Sinquerim, where the Taj Hotel group has a spectacular property. Dominated by its 17th century fort, this beach has some of Goa’s best water-sports facilities and is a must for adventure junkies. From parasailing to scuba diving, Sinquerim is the perfect launching pad. Further north, the bustling town of Calangute is a good place to stock up on supplies, find the perfect boat tour and do some shopping, but you’ll want to head further north to find a place to sunbathe. Just north of Calangute is Baga, that has some scenic viewpoints and is a great place for fishing. It’s the calm before the frenzy of Anjuna beach, which is renowned for its popular weekly flea market, held every Wednesday during Winter. At this huge bazaar, you can pick up anything from a traditional sitar to a sarong. For spectacular clifftop views and some of Goa’s best restaurants, including Greek restaurant Thalassa, Vagator is a popular resting point. The white beach is sheltered in a crescent shape and watched over by the Chapora fort. 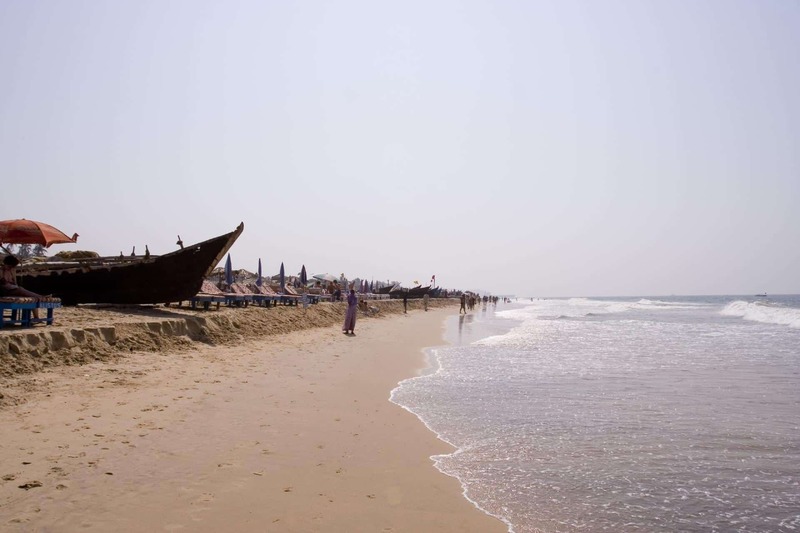 Further north along Ashvem and Mandrem beaches, beach huts and exclusive boutiques blend together in harmony. The beaches are lined with comfortable sunbathing beds that overlook an uninterrupted view of the sparkling Arabian Sea. The area is also fast becoming known for its quality cuisine, including the French inspired La Plage Restaurant, and designer boutiques; it’s here that Jade Jagger (daughter of Rolling Stone Mick Jagger) has set up her trendy winter boutique. 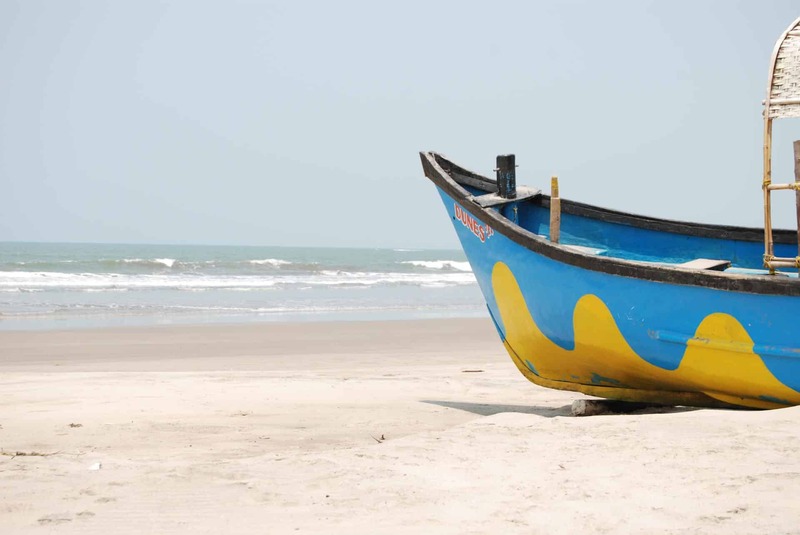 Arambol beach is one of Goa’s most northern beaches, and by far the quietest in the region. Dolphins frolic in the bay and visitors can bathe in the healthful spring waters. 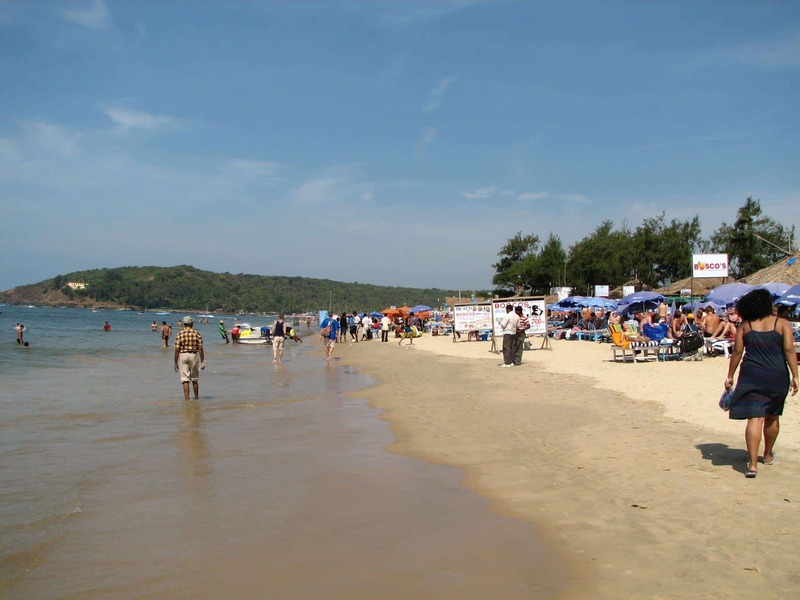 South of the Mandovi River, the beachside scene is much more casual. The central town for the region is Colva which is centred around the Church of Our Lady of Mercy. While this town has a wide range of amenities, it is also surprisingly quiet. Just a short stroll along the golden sands will take you away from the hawkers and towards fishermen bringing in their daily haul. The next beach down is Benaulim which is renowned for its rosewood furniture, a craft that’s been handed down from generation to generation. This quiet fishing town is also worth dropping by for a refreshing dip in the middle of the day. For longer term stays the nearby beaches of Varca, Cavelossim and Mabor are both quiet and peaceful. Seaside shacks serve up lip-smacking Goan seafood and there’s accommodation to suit almost any budget and style. 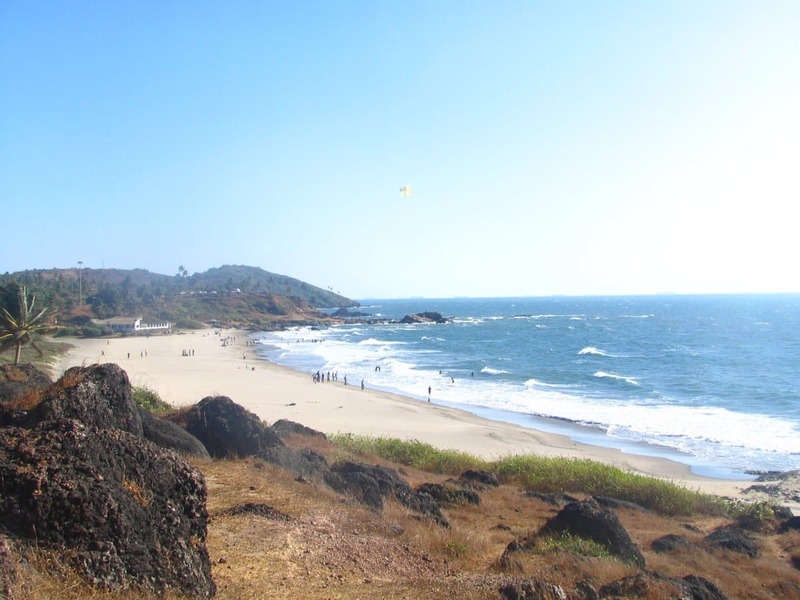 Agonda beach is relatively untouched, which makes it the ideal place to visit on a day trip from Colva. Relax on the white sands and explore the Cabo de Rama fort, according to the Ramayana this is where Lord Rama stayed while in exile. 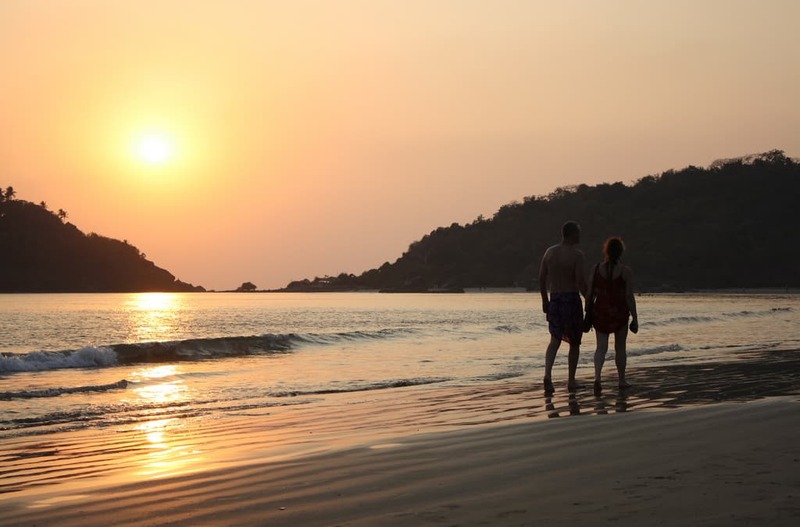 If it’s treehouses or a hammock by the beach that you’re searching for, then head to Palolem beach. Thanks to its distance from the airport and major towns, it’s one of the quietest beaches in Goa, but still has a few shacks selling fresh seafood and of course a couple of souvenirs. You can also spot dolphins off the coast, or perhaps convince a local fisherman to take you out in search of them. 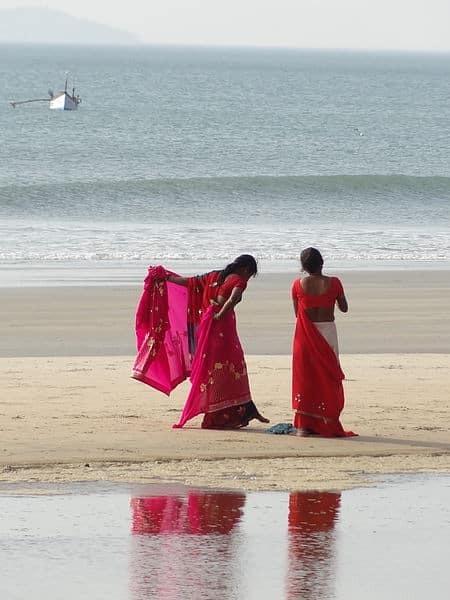 Regardless of where you choose to rest your sunhat in Goa, you’re certain to find a little piece of heaven.